The balanced score card is a concept for planning and implementing the strategy of a company. 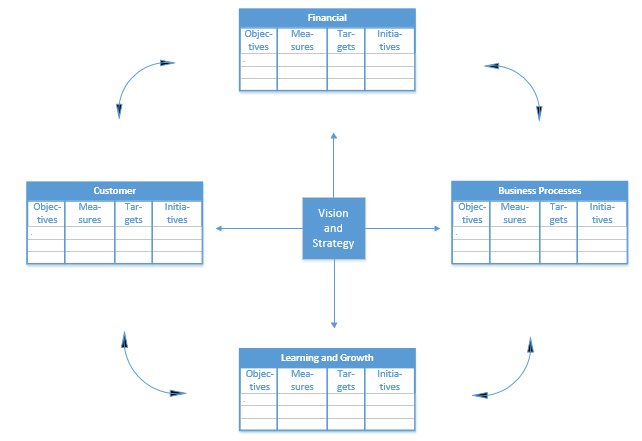 With this concept you can uncover strategic goals and key performance indicators. Used indexes can show the early or late effects of measures and decisions. In this connection, you can distinguish between early and late indicators. When developing a Balanced Scorecard, it is recommended to use a combination of Leading and Lagging Indicators.